Megan Duffy is a staff nurse in the Gynecology Program at Boston Children’s Hospital. She is a certified pediatric nurse working in pediatrics since 2009. Megan enjoys working with patients during clinic and supporting families at the annual family conferences on endometriosis and MRKH. Megan is a co-director of the Pediatric and Adolescent Gynecology Course offered annually to pediatricians and gynecologists. She has a special interest working with adolescents and LGBT youth. She is currently obtaining a Master’s in Nursing Administration and loves spending time with her family. Shaunna Maloney, RN is a staff nurse in the Pediatric and Adolescent Gynecology Program at Boston Children’s Hospital. She has practiced in this program for 7 years. 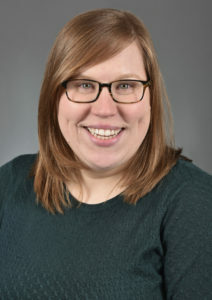 Shaunna works directly with patients and their families, where she acts as an educator, triages telephone calls, and coordinates appointments. She has also presented at the annual Endometriosis Conference for Patients and Families for the last 2 years. Cale Potter is a staff nurse in the Gynecology Program at Boston Children’s Hospital and has been working in pediatrics since 2014. 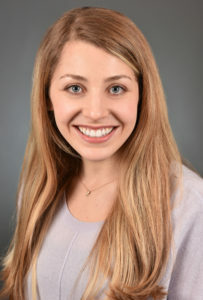 She supports patients and their families with ongoing gynecological care and enjoys educating patients during our annual family conferences on endometriosis and MRKH. She obtained a bachelor’s degree in human nutrition at UMass Amherst, and her nursing degree at MGH Institute of Health Professions. She has a special interest in education, nutrition and integrative and complimentary medicine. Phaedra Thomas-Kowal is a nurse educator, experienced project leader, writer, and the Co-Director of the Center for Young Women’s Health at Boston Children’s Hospital. She also coordinates the annual Endometriosis Conference for teens and their families and moderates the monthly endo chats for teens 13-22. In 2003, Phaedra received the David Weiner Award for her leadership and innovations in teen health and in 2012 she was honored with the Gary Fleisher Pediatric Nursing Excellence Award. Phaedra is passionate about creating innovative resources for young women with endometriosis and other medical conditions.